Microsoft Outlook has a whole range of switches that can be used at startup to help diagnose problems with Outlook or use them in scripts. In this way we can determine how to run Outlook, determine what you want to run the program, which profile, and what settings. To run Outlook with the appropriate switch run the Run dialog then type outlook.exe, and the switch, the case does not matter. /checkclient Prompts for the default manager of e-mail, news, and contacts. /cleanautocompletecache Removes all names and e-mail addresses from the Auto-Complete list. /cleancategories Deletes any custom category names that you have created. Restores categories to the default names. /cleanclientrules Starts Outlook and deletes client-based rules. /cleanconvongoingactions Deletes the Conversations Actions Table (CAT). CAT entries for a conversation thread usually expire 30 days after no activity. The command-line switch clears all conversation tagging, ignore, and moving rules immediately stopping any additional actions. /cleandmrecords Deletes the logging records saved when a manager or a delegate declines a meeting. /cleanfinders Resets all Search Folders in the Microsoft Exchange mailbox for only the first profile opened. /cleanfreebusy Clears and regenerates free/busy information. This switch can be used only when you are able to connect to the server that runs Exchange. /cleanfromaddresses Removes all manually added From entries from the profile. /cleanmailtipcache Removes all MailTips from the cache. /cleanreminders Clears and regenerates reminders. /cleanroamedprefs All previous roamed preferences are deleted and copied again from the local settings on the computer where this switch is used. This includes the roaming settings for reminders, free/busy grid, working hours, calendar publishing, and RSS rules. /cleanrules Starts Outlook and deletes client-based and server-based rules. /cleanserverrules Starts Outlook and deletes server-based rules. /cleansharing Removes all RSS, Internet Calendar, and SharePoint subscriptions from Account Settings, but leaves all the previously downloaded content on your computer. This is useful if you cannot delete one of these subscriptions within Outlook 2010. /cleansniff Overrides the programmatic lockout that determines which of your computers (when you run Outlook at the same time) processes meeting items. The lockout process helps prevent duplicate reminder messages. This switch clears the lockout on the computer it is used. This enables Outlook to process meeting items. /cleansubscriptions Deletes the subscription messages and properties for subscription features. /cleanviews Restores default views. All custom views that you created are lost. /embedding Used without command-line parameters for standard OLE co-create. /f msgfilename Opens the specified message file (.msg) or Microsoft Office saved search (.oss). /finder Opens the Advanced Find dialog box. /hol holfilename Opens the specified .hol file. /ical icsfilename Opens the specified .ics file. /importNK2 Imports the contents of an .nk2 file which contains the nickname list that is used by both the automatic name checking and Auto-Complete features. /importprf prffilename Starts Outlook and opens/imports the defined MAPI profile (*.prf). If Outlook is already open, queues the profile to be imported on the next clean start. /launchtraininghelpassetid Opens a Help window with the Help topic specified in assetid displayed. /nopreview Starts Outlook with the Reading Pane off. /p msgfilename Prints the specified message (.msg). /profile profilename Loads the specified profile. If your profile name contains a space, enclose the profile name in quotation marks (” “). /profiles Opens the Choose Profile dialog box regardless of the Options setting on theTools menu. /promptimportprf Same as /importprf except that a prompt appears and the user can cancel the import. /recycle Starts Outlook by using an existing Outlook window, if one exists. Upgrades colored For Follow Up flags to Outlook 2010 color categories. Upgrades calendar labels to Outlook 2010 color categories. NOTE This is the same command as Upgrade to Color Categories in each Outlook mailbox properties dialog box. /resetfolders Restores missing folders at the default delivery location. /resetfoldernames Resets default folder names (such as Inbox or Sent Items) to default names in the current Office user interface language.For example, if you first connect to your mailbox in Outlook by using a Russian user interface, the Russian default folder names cannot be renamed. To change the default folder names to another language, such as Japanese or English, you can use this switch to reset the default folder names after you change the user interface language or install a different language version of Outlook. /resetformregions Empties the form regions cache and reloads the form region definitions from the Windows registry. /resetnavpane Clears and regenerates the Navigation Pane for the current profile. /resetquicksteps Restores the default Quick Steps. All user-created Quick Steps are deleted. /resetsearchcriteria Resets all Instant Search criteria so that the default set of criteria is shown in each module. /resetsharedfolders Removes all shared folders from the Navigation Pane. /resettodobar Clears and regenerates the To-Do Bar task list for the current profile. The To-Do Bar search folder is deleted and re-created. /restore Attempts to open the same profile and folders that were open prior to an abnormal Outlook shutdown. 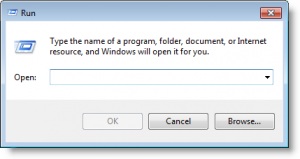 /rpcdiag Opens Outlook and displays the remote procedure call (RPC) connection status dialog box. /safe Starts Outlook without the Reading Pane or toolbar customizations. Both native and managed Component Object Model (COM) add-ins are turned off. /safe:1 Starts Outlook with the Reading Pane off. /safe:3 Both native and managed Component Object Model (COM) add-ins are turned off. /select foldername Starts Outlook and opens the specified folder in a new window. For example, to open Outlook and display the default calendar, use: “c:\program files\microsoft office\office14\outlook.exe” /select outlook:calendar. /share web://URL/filename Specifies a sharing URL to connect to Outlook. For example, use stssync://URL to connect a SharePoint list to Outlook. /sniff Starts Outlook, forces a detection of new meeting requests in the Inbox, and then adds them to the calendar. /t oftfilename Opens the specified .oft file. /v vcffilename Opens the specified .vcf file. /vcal vcsfilename Opens the specified .vcs file. Tagged command line switches, Microsoft Outlook, Outlook. Bookmark the permalink.